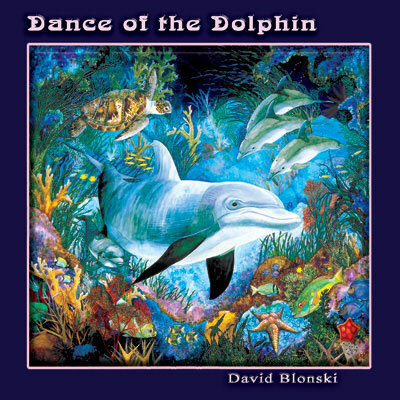 DANCE OF THE DOLPHIN – This delightful recording explores the many moods of the dolphin’s watery home, The Sea. Visit lonely windswept beaches as you listen to the sounds of the surf, shorebirds and whale songs from the deep accompanied by the exquisite instrumental music of David Blonski. David’s gentle flute will carry you away as we chase after schools of Dolphins while leaning over the rail of a sailing sloop and listening as the ocean playfully dances upon the hull.